"Maybe that's how they convince young men to go to war, Jack thought. You're just swept along until you find yourself looking death in the face, and you wonder how it ever happened." Jack Swift, a sixteen-year-old resident of Trinity, lives a very normal life. The only unusual thing is the medicine that he must take daily and the star-shaped scar on his chest above his heart. Jack's mother is very strict about the drug, because, when Jack was little he almost died of a heart condition. The drug supposedly makes sure that he stays healthy. But one day Jack accidentally forgets to take his medicine. He immediately feels a lot better, stronger, more militant and more confident than he has ever felt. Jack feels great, until he loses control of his own strength and nearly injures a fellow soccer player. Shortly after this accident, he discovers the truth about his scar, his medicine and his heritage. Jack is Weir Lind, a group of magically gifted people who live among the general population (or Anaweir). There are several Guilds: Wizards, Soothsayers, Enchanters, Warriors and Sorcerers. The Wizards are supremely powerful and are constantly fighting each other to secure the prime position in the Counsel. The two prominent participants in this power struggle are the White Rose and Red Rose. The way they obtain their position is not by fighting each other however ... The families recruit Warriors who fight against each other to the death during "The Game". The family with the winning Warrior is, until the next battle, head of the Counsel and rules all the other Guilds and the lesser Wizard families. But the Warriors are almost extinct because of this horrible tradition, and whenever a family gets its hands on a new Warrior, the others do everything in their power to murder him or her. Jack is one of the last living Warriors and must do everything in his power to stay out of the grasp of the Wizards who want to recruit him for the tournament and those who’d rather see him dead, than in the hands of the other families. 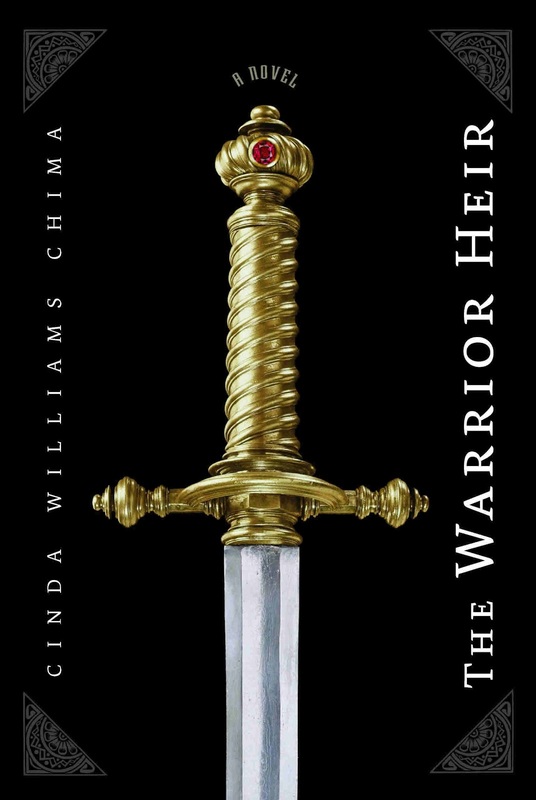 I am a very big fan of the Seven Realms series of Chima and have therefore decided to also read her first series, The Heir Chronicles. 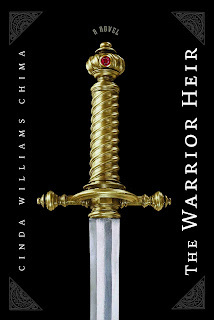 The Warrior Heir was the debut of Chima and although the atmosphere and the setting is completely different from Seven Realms, I devoured this book in just one day. In one way or another Chima knows how to hold my attention. If I have to make a comparison with Seven Realms, then I still might prefer the latter, but that is probably due to my personal preference for a certain "historical" aspect of a story. Yet this is a very strong start to Chima's career. The characters are clearly drawn, the story has some surprising twists and the secret world that she created this time is perhaps not entirely original, but still has a sort of new brilliance. Although here and there a technicality does ring an alarm bell, I'm more than happy to ignore it. The story itself is strong and overshadows any shortcomings in sequence or writing style. I would also like to say a word about the covers. Usually I am drawn to mysterious, beautifully drawn / engineered covers, as you might have noticed in the "Artwork" section of this blog. Yet I have developed a special love for the covers of The Heir Chronicles. I think this is the perfect example of a simple, yet very beautiful cover. The three books also look very nice when you put them next to each other. Good choice!